Enos and Ruby Lamprecht in Camrose, Alberta by Doug Johnson Auction Service Ltd.
Previewing starts Saturday, April 6. This is a very well maintained, clean line of equipment. Most was purchased new. Major pieces have been shedded. 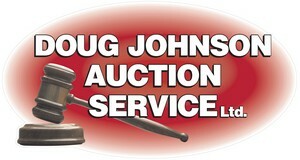 Equipment & Online Bidding at 12:30 p.m.